The home’s original dark brown marble floors and custom-designed metal staircase railing were kept intact during the renovation. Most renovations begin with a story. 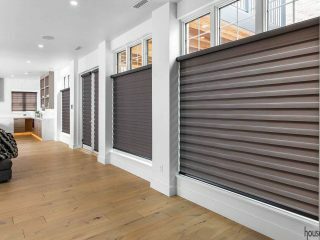 “This whole project started because we had purchased a beach home, redesigned the entire space, which had been old and traditional, and really opened it up,” the homeowner says. Change is not new to this couple. 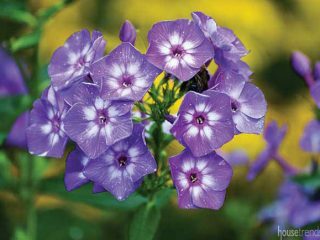 This house, which is their full-time residence, has been through several incarnations. 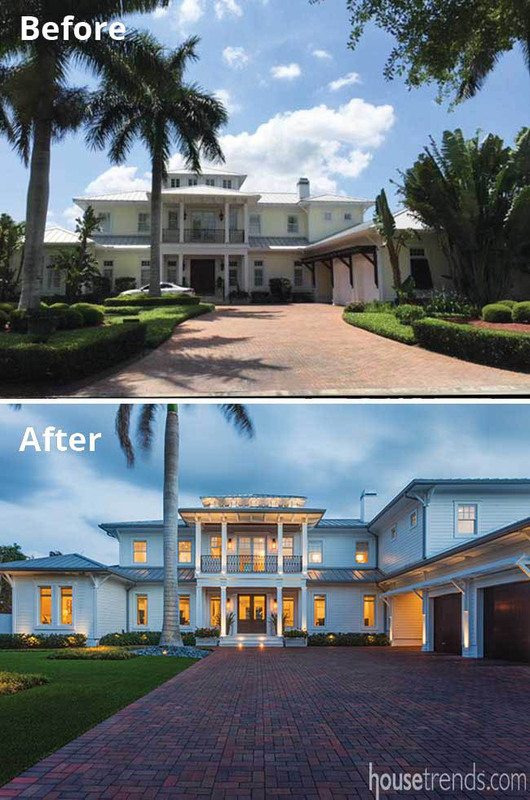 It began as a small South Tampa waterfront home, which the couple had purchased many years ago. A decade later, they hired Soleil Design Build to tear down the old home and built a new one better suited to their needs. 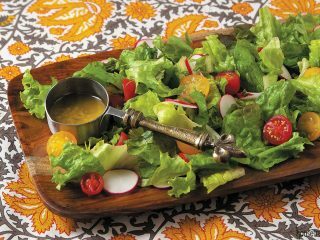 Now, it was time to upgrade once again—and they turned to Allan Domagas of A.M.D. Interior Design Consulting, who worked with the wife on the beach house renovation. 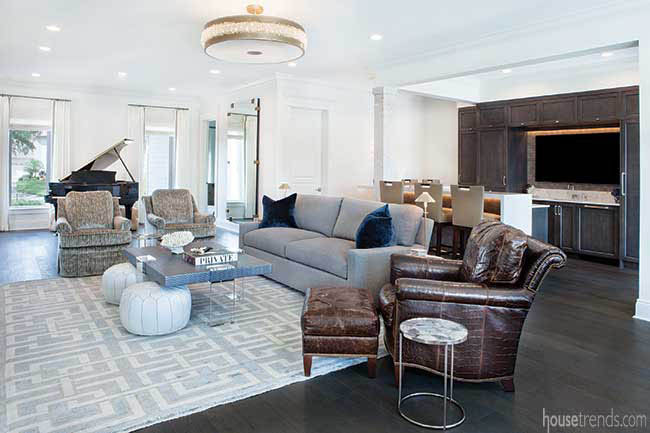 While Domagas worked with the wife on the interior design plans, Karim Tahiri and Karyn Sbar of Soleil Design Build were brought back in on the construction side, which made the process flow much more smoothly. They even had the same foreman on the project. 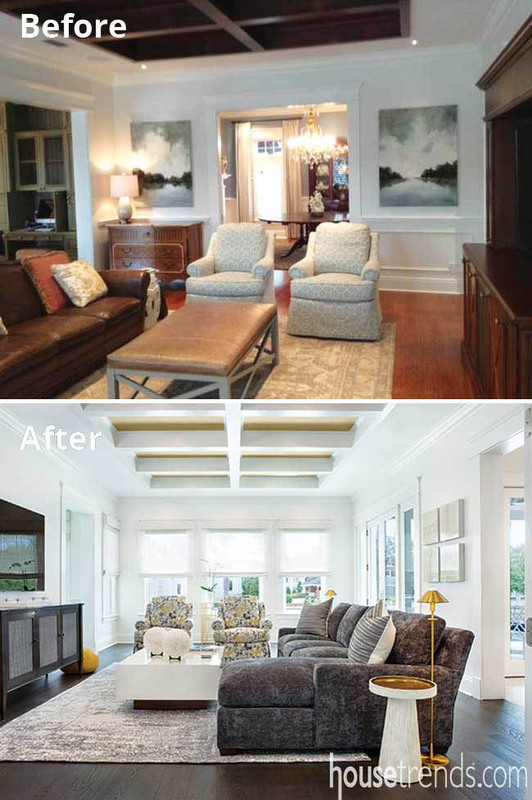 This renovation was a transformation of both the physical structure and the interior style of the home. From the outside, the addition blends seamlessly with the original Key West style of the home and appears to have always been there. Inside the home, while the additional 2,000 square feet was gained primarily in the large upstairs master suite situated over the original kitchen, nearly every room was touched somehow. The kitchen is always a major design feature of any house and this one was no exception. It received a complete makeover in keeping with the new streamlined look. 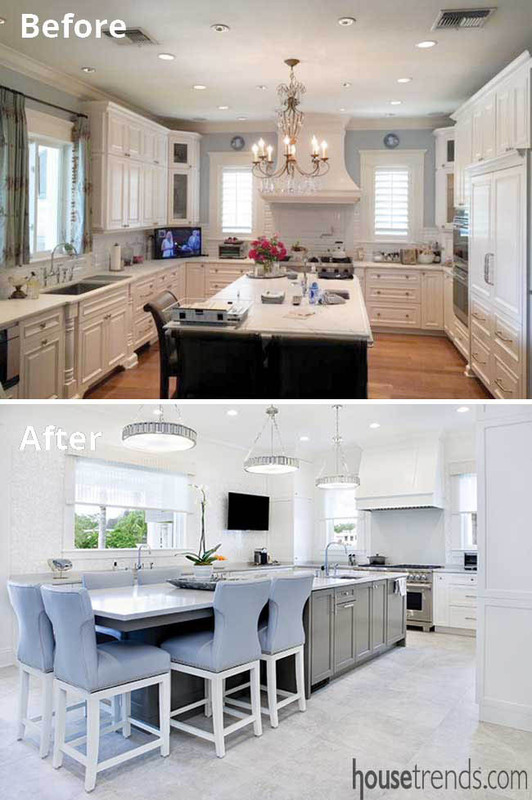 The traditional raised panel cabinets were replaced with a more modern door, while the upper cabinets were eliminated to create a more open feel. A larger window was also installed over the sink to take advantage of the beautiful views. 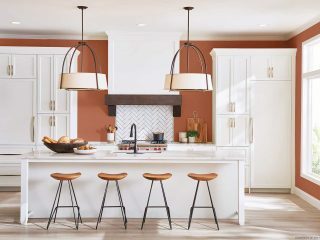 White mother-of-pearl tiles on the backsplash add a pearlescent shimmer, which is accented by a trio of elegant light fixtures positioned over the island. Creamy porcelain tile mimicking the look of travertine, without the maintenance issues, was used on the floor. A rarely used full pool bath in this area was reduced to a half bath, with the rest of the space being repurposed into a walk-in pantry. 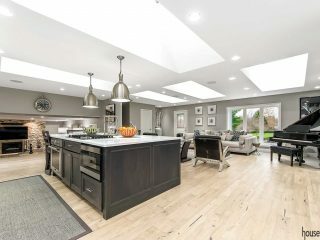 A nearby butler’s pantry connecting the dining room was also removed to make way for an elevator, which conveniently opens directly adjacent to the upstairs master suite. In its first iteration, the couple had designed this house with the master bedroom suite on the ground floor, and the children’s bedrooms and guest space upstairs on the smaller second floor level. For the new renovation, they decided to reallocate the downstairs master suite area to a handsome club room, a full bar, and a special retreat for the wife. Rearranging the spaces allowed the couple to take advantage of the lovely water views in the back of the house. The original decorating of this house was a very traditional style with brown leather and wingback chairs, floral drapes, and dark cabinetry. Now, a clean palette of white on the walls and ceilings sets the tone. 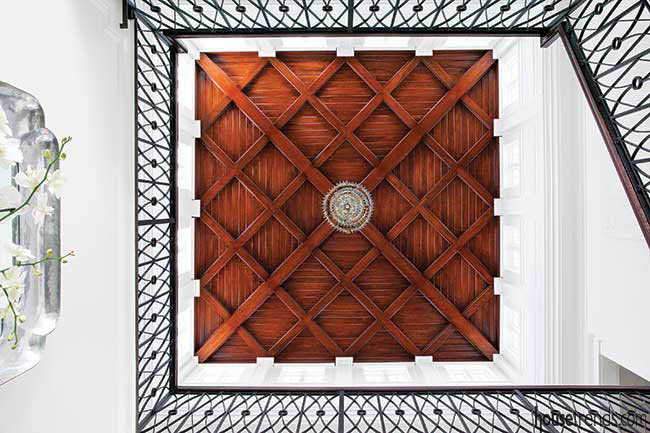 Some original items were kept, such as the deep crown molding and millwork, the polished brown marble foyer floors, and the custom designed metal railings of the central staircase tower, while other areas changed significantly. All the floors, with exception of the foyer and kitchen, were changed to a dark wood to anchor the white walls. Custom carpet runners for the stairs and upper halls were hand cut and sewn on-site by Addison/ Dicus & Bailey Co., in order to keep the pattern all running in one direction. 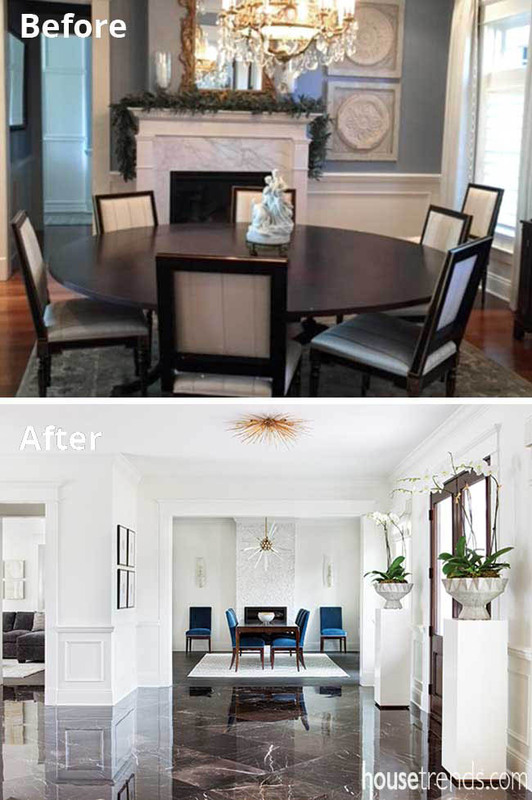 The traditional wood fireplace mantel and marble surround in the formal dining room were completely removed and replaced with a straight column of stacked split-face stone tile for an elegant texture without the clutter of a busy mantel. The artwork selected fits the home perfectly. “I’m very much into scale and texture,” Domagas says. “I like a pared back palette. Less is more but texture makes it interesting.” That use of texture can be found in many areas. The artwork ranges from framed fiber panels, to the large, high-gloss pieces from artist Austin Allen James. It can be found in the beautiful fabrics positioned throughout the house, including the pink faux alligator cut velvet fabric on the chairs in the wife’s private retreat, her “pretty room” as she playfully calls this lovely feminine space, and it can be found in the gorgeous hunks of natural stone and crystals artfully included in nearly every room. 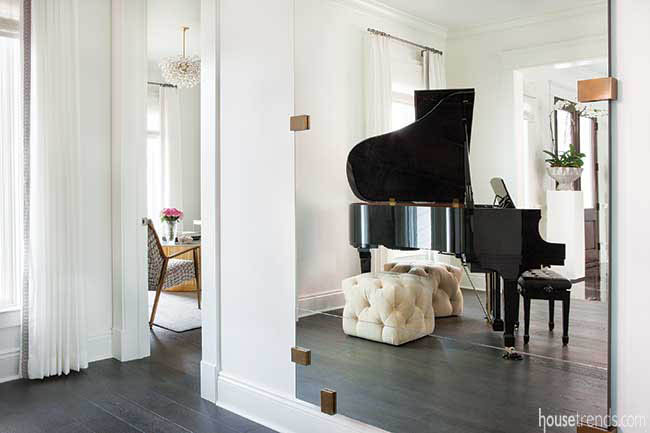 The homeowner and the designer also let their imaginations run wild when it came to selecting the handsome modern glass chandeliers and sconces accentuating the spaces. The showstopper though, is the immense six-foot-tall vintage French crystal chandelier that hangs from the tower ceiling. The new upstairs master suite is the crown jewel of the home. Decorated in soft blue hues with a cozy sitting area, this is a room to rest, relax, and enjoy the views. Two full bathroom / dressing room spaces flank either side of the bedroom, one for the husband and one for the wife. 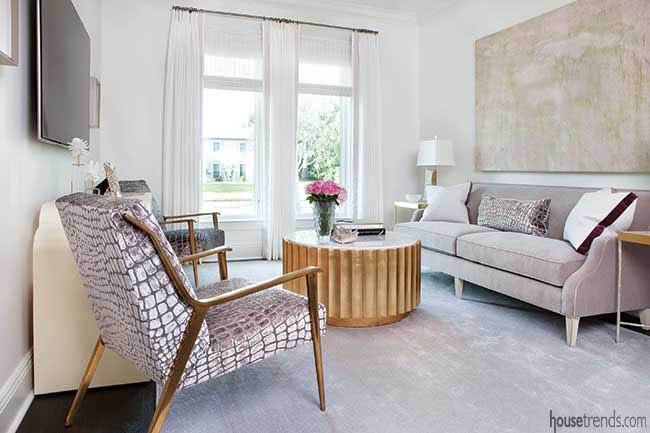 Her side features Mica flaked wallpaper, floor-to-ceiling white cabinetry and a fun pink chaise for a feminine touch. 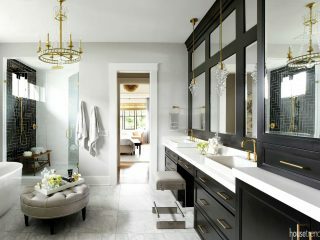 The husband’s side features formal dark wood cabinetry and green marble countertops. To fully complete the project, they also addressed the exterior landscaping and hardscape of the home. 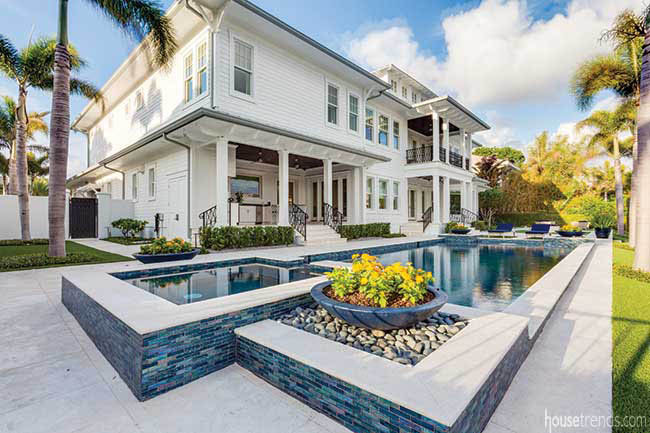 While the towering palms of the first new home remained, virtually everything else was removed and replaced–from the original hedges to the driveway and pavers in the front and back yards. “The goal was to eliminate the formal garden design and transition to an outdoor area with a Miami or South Beach flair,” says Domagas.